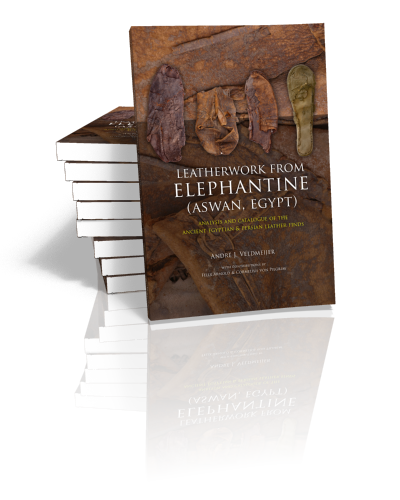 ‘Leatherwork from Elephantine’ describes, illustrates and analyses the finds from the excavations at Elephantine island (Aswan, Egypt) that are conducted by the German Archaeological Institute (DAI), in collaboration with the Swiss Institute for Architectural and Archaeological Research on Ancient Egypt (SI). The majority of the finds are dated to periods well after the pharaonic era (4th century AD onwards), save for a few finds from the New Kingdom and the Middle Kingdom. The majority of finds are sandals and shoes. Most important for leatherwork/footwear studies, however, is the footwear from the Persian layers (6th-5th c. BC), which is distinctly different from ancient Egyptian leatherwork. Ample attention will be given to this important group. Print article This entry was posted by andre on 20 October, 2016 at 5:28 am, and is filed under Uncategorized. Follow any responses to this post through RSS 2.0. Responses are currently closed, but you can trackback from your own site.